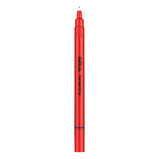 A quality stick pen delivering smooth and consistent ink flow. 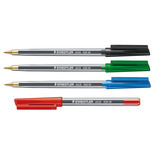 Inexpensive, ballpoint pens with ventilated caps. 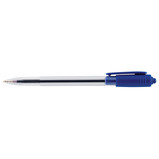 High quality stick ballpoint pen, with tungsten carbide ball and ventilated cap. 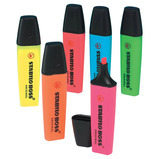 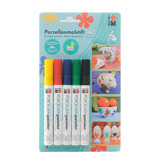 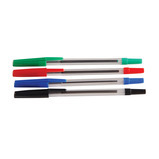 These handwriting pens help develop better writing control and letter formation. 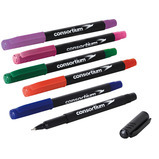 The Consortium handwriting pen is designed to provide smooth, easy writing from the 0.3mm plastic tip. 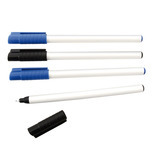 The barrel design includes finger grips to aid pen control. 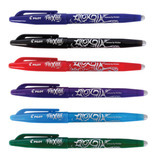 These rollerball pens contain heat sensitive ink. 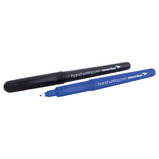 Just rub the end of the pen over the lettering and the ink vanishes! 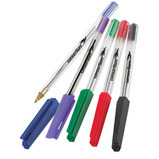 Cristal grip medium ballpoint pen with a comfortable rubber grip and a quality carbide ball for smooth writing. 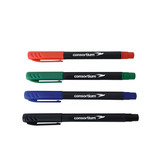 Great value, non-retractable ballpoint pen with ventilated cap. 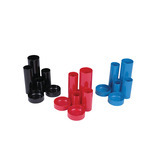 Hard-wearing point which provides increased resistance to excessive pressure. 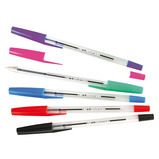 The pen has a long write-out length and to further enhance the writing performance, the grip zone has been moulded in such a way to prevent fingers slipping, making writing a more comfortable experience. 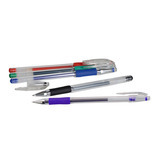 A free flowing rollerball with a finger grip barrel designed to aid pen control. 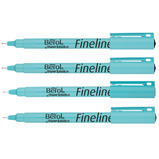 An economical yet great quality fineline pen with finger grips to aid pen control. 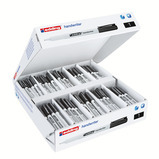 Compact desk tidy for pens, pencils and other office accessories. 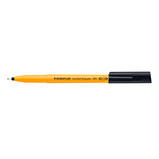 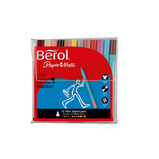 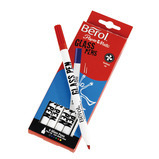 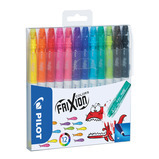 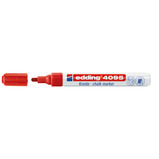 Fine plastic tip ideal for handwriting, figure work and detailed technical drawings. 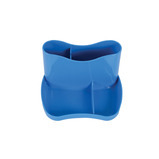 Desk organiser with four large storage compartments. 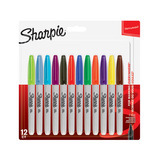 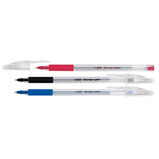 Quality gel pen, smooth gel ink ensures easy writing. 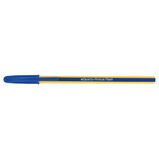 This pen is ideal for developing handwriting in both right and left handed learners due to its ability to write at any angle. 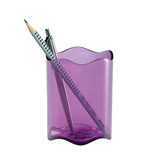 A classically designed pen pot in contemporary translucent colours. 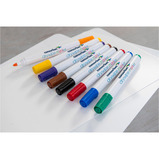 Combination pinboard and whiteboard with a felt surface on one side and a whiteboard with high gloss for drymarkers on the other. 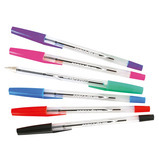 Superb quality and value drywipe marker pens, excellent on all makes of whiteboard and drywipe surfaces.